Following a long run with the Patriots as cornerbacks and defensive backs coach, Josh Boyer will join new head coach Brian Flores in Miami, the Boston Globe’s Jim McBride writes. Boyer joined New England in 2006 as a defensive assistant after serving as defensive coordinator at the South Dakota School of Mines. After spending three seasons as an assistant, he assumed defensive backs coach duties, and served in a similar position from 2009 to 2018. With the Patriots, Boyer won three Super Bowls. He will become defensive backs coach in Miami while also serving as the defensive pass game coordinator. Boyer becomes the latest member of the Patriots coaching staff to exit the team following the AFC powerhouse’s 13-3 win over the Rams in Super Bowl LIII. He joins Chad O’Shea (receivers coach) and Jerry Schuplinski (assistant quarterbacks coach) to follow former Patriots defensive coordinator Flores to Miami. Defensive line coach Brendan Daly also departed the staff, taking a similar role with the Chiefs. Raiders defensive backs coach Derrick Ansley is joining the University of Tennessee staff in a similar role, NBC Sports’ Scott Bair writes. Ansley will reunite with head coach Jeremy Pruitt, who he served with while with the University of Alabama. Last year was Ansley’s first in the NFL, and the Raiders reportedly were happy with the job he did with the team’s young defensive backs. Recently retired offensive lineman Matt Slauson turned down a coaching job with the Colts, SiriusXM’s Alex Marvez tweets. Marvez notes Slauson said he wants to spend more time with his family following his nine-year run in the NFL but left open the possibility of entering the coaching ranks at a later date. In 2018, the right guard made five starts with Indianapolis. Former Dolphins defensive coordinator Kevin Coyle has resurfaced as the head coach of the Atlanta Legends of the AAF, ESPN’s Michael Rothstein writes. 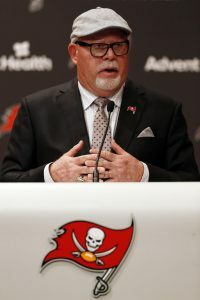 He originally joined the team expecting to be the defensive coordinator but assumed head coaching duties after former NFL head coach Brad Childress abruptly resigned. Miami’s defensive coordinator for four seasons, Coyle last appeared in the NFL as the Bengals’ defensive backs coach from 2016-17. The Dolphins believe that Brian Flores is the right man to turn their franchise around and they showed their confidence in him in the form of a unique contract. Flores’ deal is a fully guaranteed five-year pact, according to Adam Schefter of ESPN.com (on Twitter). For the most part, this year’s other head coaching hires inked four-year contract with a team option for a fifth-year. Reading between the lines, it sounds like the Dolphins felt compelled to go the extra mile in order to secure their top candidate. In addition to the Dolphins, the Browns, Broncos, and Packers also considered the former Patriots de facto defensive coordinator. The Patriots ranked 21st in yards allowed but seventh in scoring this past season, and they’ve only had one non-top-10 scoring defense in the past 13 seasons. Of those 13 years, Flores was with the organization for eight. In a recent poll, PFR readers said they were not as high on Flores as other hires this offseason. 26% of PFR readers said that new Bucs head coach Bruce Arians was the best hire of the bunch while Flores came in at just 6.26%. The Dolphins have their new head coach. 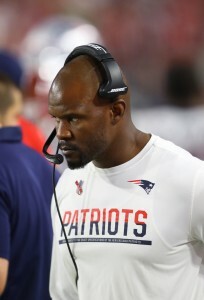 After the Super Bowl, Brian Flores‘ agent finalized terms on a contract to make the Patriots’ defensive guru the new head coach in Miami (Twitter link via Ian Rapoport of NFL.com). Terms of the deal are not yet known, but the industry standard is a four-year deal with a fifth-year team option, so that’s likely the structure of Flores’ pact. At 4pm ET/3pm CT on Monday, the Dolphins will introduce their new coach to the public. The Dolphins agreed to hire Flores nearly a month ago, but league rules prohibit teams from hiring coaches who are still active with their clubs during the playoffs. Last year, the Colts were burned by a gentleman’s agreement with offensive coordinator Josh McDaniels, but the Dolphins were comfortable enough with Flores to move forward without a signed deal. Flores did not hold the title of defensive coordinator in New England last year, but he was the de facto DC and got results out of a unit that was undermanned, particularly up front. The D was up and down throughout the year, but things came together later in the year and Flores’ pass rush stepped up on Sunday to stifle the Rams en route to the Pats’ sixth Super Bowl win in franchise history. The Dolphins’ defense is much more of a fixer-upper, but owner Stephen Ross, GM Chris Grier, and the rest of the Fins front office has confidence in Flores. 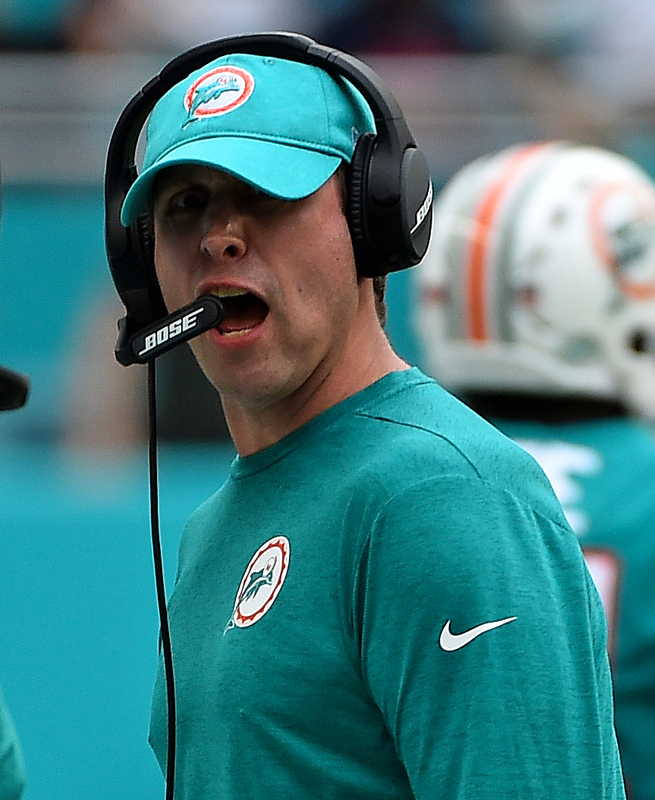 He’ll take over for offensive guru Adam Gase, who was hired as the Jets’ new head coach in January. Once the Super Bowl ends, the Dolphins are planning on announcing Brian Flores as their new head coach. Armando Salguero of the Miami Herald reports that the Patriots linebackers coach will fly to Miami on Monday morning (on owner Stephen Ross‘s private jet, no less), and the two sides will then presumably finalize a contract and announce the hiring (via ESPN’s Adam Schefter on Twitter). As Mike Florio of ProFootballTalk.com points out, this is especially notable following last year’s fiasco between Josh McDaniels and the Colts. Following the Patriots’ Super Bowl loss to the Eagles, McDaniels visited New England’s team facility, and it was subsequently reported that the offensive coordinator would instead by sticking in New England. Naturally, the Dolphins don’t want to find themselves in a similar scenario, and Florio suggests that Miami would be wise to assure that Flores doesn’t even get on the Patriots plane back to Massachusetts. Of course, nothing has suggested that Flores will renege on his presumed deal, but you also can’t blame the Dolphins organization for being a bit wary. 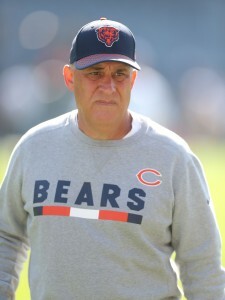 Flores has seen some success in New England, and he most recently served as the team’s de facto defensive coordinator (although he didn’t hold that official title). The Patriots ranked 21st in yards allowed but seventh in scoring this past season, and they’ve only had one non-top-10 scoring defense in the past 13 seasons (Flores has been with the organization for eight of those campaigns). As our own Zach Links pointed out, the Dolphins are hoping Flores will restore order on the defensive side of the ball after having moved on from the offensively-minded Adam Gase. While Dolphins owner Stephen Ross has played a large role in hiring Miami’s coaches in the past, that wasn’t the case this time around. Ross identified and hired Adam Gase on his own, but had nothing to do with bringing in new coach-in-waiting Brian Flores, sources told Armando Salguero of The Miami Herald. Instead, it was new GM Chris Grier who is solely responsible for hiring Flores, Salguero writes. Salguero writes that Grier and Flores are longtime friends, and that now ex-Dolphins coaches told him it was “no secret within the organization that Grier was focused on Flores as the favorite to be Miami’s new coach even before interviews began.” Flores, the current Patriots’ defensive play-caller, and Grier both started as scouts in their respective organizations and Salguero writes that their paths crossed frequently, sparking a friendship. Miami is reportedly all-in on tanking in the 2019 season, and it’ll be very interesting to see how Flores fares. While the contract Odell Beckham Jr. signed this offseason “became the new financial benchmark for wide receivers”, it “didn’t dramatically reset the market as some, including myself, anticipated”, opines former NFL agent and current CBS Sports analyst Joel Corry. In his piece, which is worth a read, Corry breaks down this offseason’s wide receiver market, and he thinks 2019 will be the year the market is truly reset. Corry writes that Julio Jones, Tyreek Hill, and Amari Cooper will likely all land new deals this offseason. Speaking of wide receivers, commissioner Roger Goodell was asked about Josh Gordon during his annual Super Bowl press conference. Goodell said ““right now the focus is what can we do to help Josh (Gordon) to get to that place (where he can play football)”, according to Ian Rapoport of NFL Network (Twitter link). Goodell’s comments suggest that Gordon, who stepped away from the Patriots earlier this season, could eventually play in the league again even though Goodell slapped him with an indefinite ban. It won’t come easily, but it appears Gordon’s NFL career isn’t dead yet, just on life support. In case you missed it, Goodell also had updates on two more embattled players, Kareem Hunt and Reuben Foster. Patriots assistant Brian Flores will have his second interview with the Dolphins on Wednesday night, a league source tells Adam Beasley of the Miami Herald (on Twitter). The interview, in all likelihood, will be a discussion about the future rather than a true interview. Flores has already been tapped as the team’s next head coach, but the hire cannot be formally made until after the Super Bowl. In 2018, the Patriots ranked 21st in yards allowed but seventh in scoring. The Pats have only had one non-top-10 scoring defense in the past 13 seasons and Flores has been a part of their past eight defensive coaching staffs. After moving on from the offensively-minded Adam Gase, the Dolphins believe that Flores will help restore order on the other side of the ball. Speaking of defense, the Dolphins are reportedly set to hire longtime Flores friend Patrick Graham as their new DC. The Cowboys‘ offensive coordinator position is now vacant after the team parted ways with Scott Linehan several days ago, and we learned that tight ends coach Doug Nussmeier may be the favorite to replace Linehan. However, Ian Rapoport of NFL.com suggests that Dallas could look to promote quarterbacks coach Kellen Moore — whom Rapoport described as “fast-rising” and “impressive” — to the OC job (Twitter link). If that happens, RapSheet suggests that the team could add another one of its former QBs to the coaching staff by hiring Jon Kitna, most recently the offensive coordinator for the AAF’s San Diego Fleet, as the new quarterbacks coach. Jason La Canfora of CBS Sports believes that the Redskins‘ failed pursuit of Todd Bowles and Gregg Williams does not bode well for head coach Jay Gruden‘s future in Washington. La Canfora writes that owner Dan Snyder put the “full-court press” on Bowles, and if Bowles had said he would only join the Redskins as a head coach, Snyder may have gone for it. Gruden will return in 2019, but if he does not lead the Redskins to a playoff berth, La Canfora would not be surprised if Snyder reaches out to Bowles and Williams again, perhaps to discuss a head coaching position. If the Patriots prevail in today’s AFC Championship Game, the Dolphins will meet with New England de facto defensive coordinator and future Miami head coach Brian Flores during the week before the Super Bowl to discuss staffing and other issues, per Rapoport (via Twitter). The Fins can formally commit to Flores as their next HC at that time. The Bengals have been very hands-off with their presumptive new head coach, Zac Taylor, but Rapoport (video link) says that is only because the team is closely adhering to league rules regarding coaching hires (Taylor, of course, is the Rams’ quarterbacks coach, and the Rams’ season isn’t over yet). Rapoport says Cincinnati still fully intends to hire Taylor, and he names Jack Del Rio as a potential defensive coordinator on Taylor’s new staff. La Canfora agrees that Del Rio is a DC target, and he adds John Fox as another possibility. Both JLC and RapSheet say that Raiders QB coach Brian Callahan is a top choice for offensive coordinator. Former Cardinals tight ends coach Jason Michael will join the Colts in the same capacity, a source tells Albert Breer of The MMQB (on Twitter). Michael served as the Titans’ offensive coordinator from 2014-15 and was the team’s QB coach from 2016-17.